Gregory Katz is the managing partner in the New York office of Lewis Brisbois and chair of the General Liability Practice. Mr. Katz has over 20 years of experience in defending cases in State and Federal Court. He has worked with numerous MGA’s, Insurance Carriers and Third Party Administrators in developing strategies for reducing costs for programs. He served on the Board of Directors for Target Markets and the National Risk Retention Association. Mr. Katz has served as National Counsel for Environmental, Habitional and Transportation programs. 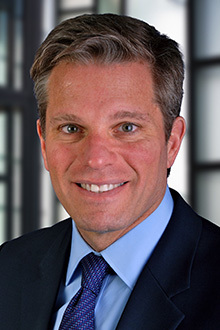 He has lectured and written on numerous topics including Reducing the Shelf Life and the Cost of a Claim, Paratransit Issues, Coverage and Insurance Tender Issues commonly faced by Carriers in NY as well as publishing numerous articles on New York’s Threshold and Labor Law statutes and defending General Liability and dram shop claims for the Hospitality Industry. Mr. Katz is on the Board of Directors and a founding Member of the American Society of Environmental Professionals.